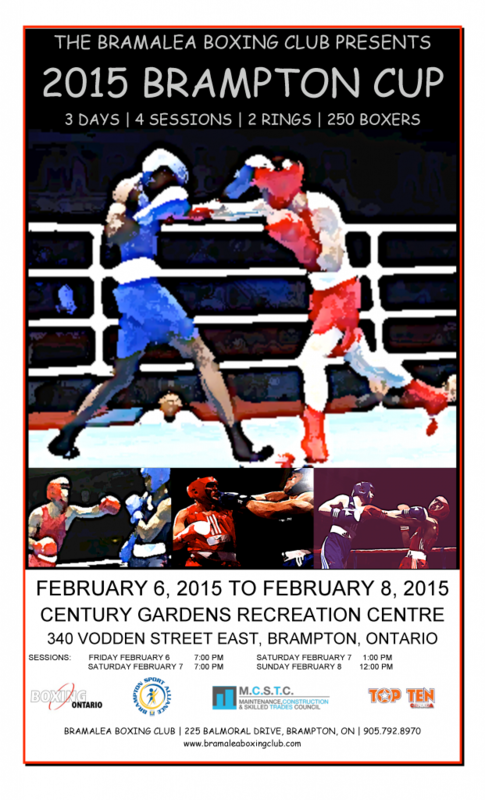 On February 6 to February 8 2015 one of the biggest and most anticipated boxing tournaments in Ontario will take place at the Century Gardens in Brampton! It is the one and only Brampton Cup presented by the Bramalea Boxing Club! This is a great tournament where boxers can show what they are made of and display all of their hard work they put in in the gym! Mark your calendars, this tournament will have many great bouts and equally great boxers battling it out to come out on top and make their club proud!